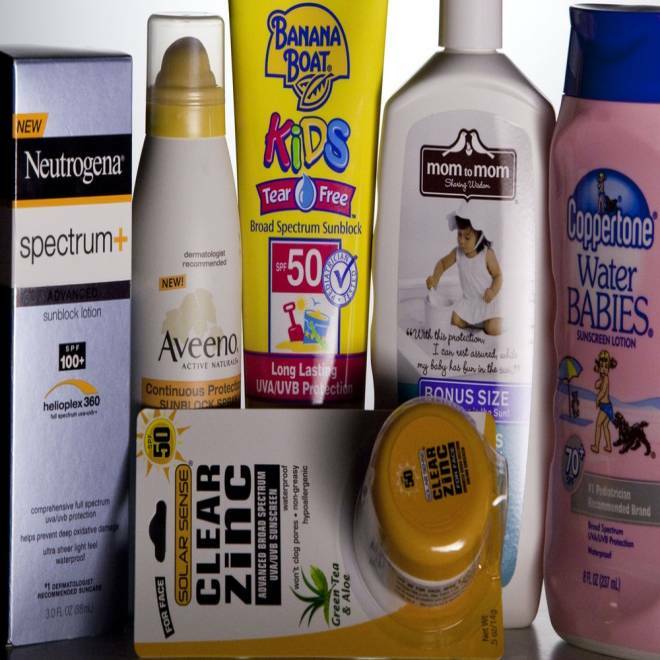 Packing sunscreen can ensure that that sweet tropical sunshine doesn't leave you red and sore. Packing the right clothes, shoes and gear for your trip is an underrated, yet necessary skill (as anyone who has ever tried to hike a trail in flimsy footwear can attest). And with the addition of airline baggage fees, not to mention the fight for overhead space on the plane, being able to bring just enough -- without going over -- can even save you money and hassle. Below, you'll find packing guidelines for four different types of vacations. No matter where you are going, try to restrict yourself to one suitcase and one carry-on (or even a carry-on only! ), at least on the way there. Otherwise, you won't have room to bring anything home -- and where's the fun in that? What's essential? : You might hate shopping for them, but no beach vacation is complete without a swimsuit. Buy more than one so there's always something dry to wear, and bring them along in your carry-on. Women should pack cute cover-ups, both to wear on the beach when it gets too hot and to walk along the boardwalk without too much exposure. In the evenings, costume jewelry can add just enough glamour to a sundress. Men should bring a lightweight button-down shirt for nicer restaurants; Tommy Bahama is always an upscale choice. For your feet, bring flip-flops, sandals or canvas tennis shoes, depending on the type of beach you're on. Choose a mesh or nylon beach bag with a distinctive pattern so it's easy to spot among the crowds, and make sure it has inside pockets, preferably waterproof, to store valuables and small electronics such as your cell phone. Speaking of gadgets, make sure that they're waterproof or have protective covers. A soft-sided insulated tote for drinks and snacks is easier to carry than a bulky cooler. Pack some disposable wipes for quick clean-up. Plastic bags can be your best friend: Use them to bring food to the beach, and then carry wet swimsuits and towels on the way home. Secret weapon: If you wear corrective lenses and your beach sessions involve exploring reefs for colorful fish, you'll want to invest in a prescription snorkel mask. Having your own mask can also prevent communicable diseases (I once got a wicked case of pinkeye from a tainted snorkel mask in Costa Rica). Safety first: No matter how good it feels, the sun is not your friend. Load up on sun protection with a strong sunscreen that you can reapply often. If you're traveling to your destination by plane, look into sunscreen towelettes that won't explode or leak. When you're lathering up, don't forget your face. Add lip balm, and wear sunglasses and a hat. Leave at home: Being on the beach is an excuse to cut loose; avoid bringing clothing that's too stuffy or structured. If you're staying at a hotel, find out ahead of time if towels and other beach amenities are included. Many vacation rentals also have "house" items such as camp chairs and barbecue grills so there's no need to bring your own. What's essential? : The African sun can be brutal. Be sure to buy a pair of polarizing sunglasses that can protect your eyes. During the day, you'll want a hat that covers not only your face, but also your ears and neck. Look for one that has a cord so it won't fly off as your Jeep sprints across the savannah. Those roads can get bumpy, so women might want to pack a sports bra. The African bush can be chilly during the mornings and evenings; be sure to bring a windbreaker and long pants. You'll want to pick your shoes depending on the type of safari you're taking; while heavy hiking boots are necessary for a walking trip, you're better off with light hikers and sports sandals if you'll be spending most of the time in a vehicle (sandals are also great for walking around the camp at night). A small flashlight or headlamp can also assist after hours, as many lodges and camps run on generators. And finally, you'll kick yourself if you don't bring a pair of good, mid-sized binoculars. Look for ones that are sturdy enough to survive getting dropped. Secret weapon: So common back home, batteries can be a priceless commodity if you run out of them in the bush. Pack some extras -- and buy an extra digital camera card while you're at it. You don't want to run out of space right when you're ready to take that close-up of a lion. Safety first: A small first-aid kit full of bandages, hand sanitizer and medications, both over-the-counter and prescription, may be your best friend. Consider including ibuprofen, Dramamine and Imodium; ask a doctor if they'll give you some Cipro (for intense stomach problems) or Ambien (for sleeping). Pack an extra travel toothbrush in case you forget and use tap water. And it goes without saying that insect repellent and malaria medication should be on your list (ask your outfitter if mosquito netting is provided). Leave at home: The colors that you wear on safari are almost as important as the actual clothes. Anything white and bright will distract the animals, and black and blue (including jeans) attract flies. Stick to olive, green and khaki. Forget your formal clothes; things are casual out in the bush, even at upscale lodges. What's essential? : While blue jeans may seem like the ultimate outdoor outfit, they can get wet and heavy. It's better to get pants that are water- or wind-proof, or can be converted into shorts. A pair of tights or long underwear add an extra layer. Look for T-shirts, long-sleeved shirts and hoodies in breathable, synthetic fabric that will absorb sweat better than cotton. You'll want to pack an emergency poncho or some other form of rain gear to protect from sudden storms. Your footwear will depend on what kind of activities you are doing. Lightweight hiking shoes or boots can handle many conditions, but you might need something sturdier for rockier trails. Kayaking or rafting trips could demand durable water shoes. Scarves, gloves and hats can make a big difference in comfort at higher altitudes, even in the summer. Insect repellent to prevent bites -- and anti-itch cream to soothe them -- are must-haves. Secret weapon: Pack multiple pairs of non-cotton hiking socks to keep your feet dry. Band-aids and moleskin can go a long way toward keeping blisters from ruining your hike (make sure you expose them to the open air during the night). Bring some Neosporin to prevent infection. Safety first: When you're heading into the back country, bring a whistle for bears or other unsavory creatures, especially if you're a woman traveling alone. Dehydration can be a problem on the trail; bring a reusable water bottle and refill it often. (You may need a water purification method to make sure your water is fit to drink; see Drinking Water Safety for specifics.) Bring a flashlight or headlamp for night hikes, along with plenty of batteries. And be sure to check in with rangers if you're going to a remote area. Leave at home: It goes without saying that this is one trip where you won't need heels or dress shoes. No one on the trail cares what you look like. And while I'm a big fan of using an e-reader to save space in your luggage, I wouldn't bring a Kindle, iPad or laptop into the wilderness. You should be unplugging anyway, right? What's essential? : Invest in a pair of good walking shoes that could also be worn to a nice restaurant (Merrell and Clarks have great ones that have an urban vibe). Try them out before you go, as you don't want to be limping through a city with blisters. For women, you can't beat a pair of skinny jeans and stretchy black pants that can be worn while walking around during the day, and then out again at night paired with a dressier blouse or top. Instead of a backpack, look for a purse or bag that has a thick shoulder strap that can't easily be cut, and can be worn messenger-style against the body to prevent thieves. For men, a lightweight travel blazer or sport coat can be all that you need to go from a museum to an evening out (wear it on the plane to save room). Secret weapon: A couple of colorful scarves don't take up too much room, and can transform a blah outfit -- or hide the fact that you've worn it already. Safety first: A rubber doorstopper can be a girl's best friend in an unfamiliar city. Stick it under the hotel door if there's no security lock, or under the door of an adjoining room. Leave at home: Even when it's hot out, women might consider skirts or loose-fitting, lightweight capris instead of shorts, especially if you'll be visiting churches or other religious structures. And while men might not go anywhere back home without wearing their showiest watch, it's all too easy to take a wrong turn in an unfamiliar city. A good rule of thumb: If you don't want to lose it, don't bring it.